The demand for organic lawn fertilizer has exploded over the last several years. 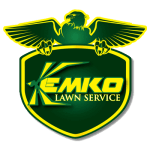 Savvy lawn care experts like Kemko are sure to stay on top of this trend by finding the very best quality products for their clients. And even when customers do their research into organic products, there still seems to be a fair amount of confusion and unrealistic expectations when it comes to how organic lawn fertilizer works. Natural alternatives offer plenty of benefits that synthetic fertilizers don’t. On the other hand, there are a few drawbacks to the organic products. Here are Kemko’s best bits of information about organic lawn fertilizers: how they work, and what benefits they bring to the table. Microorganisms in your soil break the organic materials contained within this type of fertilizer down. Keeping the soil full of healthy bacteria, fungi, and other organisms helps your grass stay healthy and fight off pests better. Inorganic fertilizers, however, can decimate earthworms and beneficial bacteria in the soil. With organics, over time, you will likely see a reduction of treatments you need to apply to fight off fungal infections, weeds, and bugs. Manufactured fertilizers, on the other hand, burn lawns all the time. Applying synthetics incorrectly or at the wrong concentration puts your lawn at greatest risk of chemical burn. Slow-release fertilizers come in all sorts of formulas, but organic products are almost always slower to produce results. The organic ingredients have to be broken down by the soil’s microorganisms before they start to affect the grass. 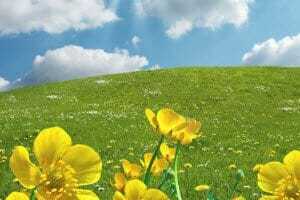 If you need a greener lawn right away, you might find yourself feeling disappointed with an organic product. What Fertilizer Works Best for Atlanta’s Lawns? The answer depends on so much more than being located in Atlanta. You also have to consider your budget (organic products typically cost a bit more), your turf type and current condition, your personal preferences, and your expectations. You can always consult with Kemko’s lawn care experts to help you decide on the right product and care plan for your lawn. For more than three decades, Kemko has been Atlanta’s family-owned, local lawn care expert. Nobody knows more about the local grasses and weather patterns than we do. We have our grass maintenance schedules down to a science. There’s no doubt that we will be able to get you the lush, green lawn you’ve been dreaming of having. Kemko offers levels of customer service, quality workmanship, and communication that you won’t find with our competitors. Have questions about organic lawn fertilizer? Call us at 770-466-6113 or check out our FAQ list online.